The Bezel (housing) of a recycled aluminum beverage can. 100% recycled materials. The Watchstrap from recycled car seats. 100% recycled materials. The Case Body of recycled brass with a stainless steel case back. 65-95% recycled materials. The Quartz Movement is waterproof to 30 Meters. The Packaging 100% recycled materials. 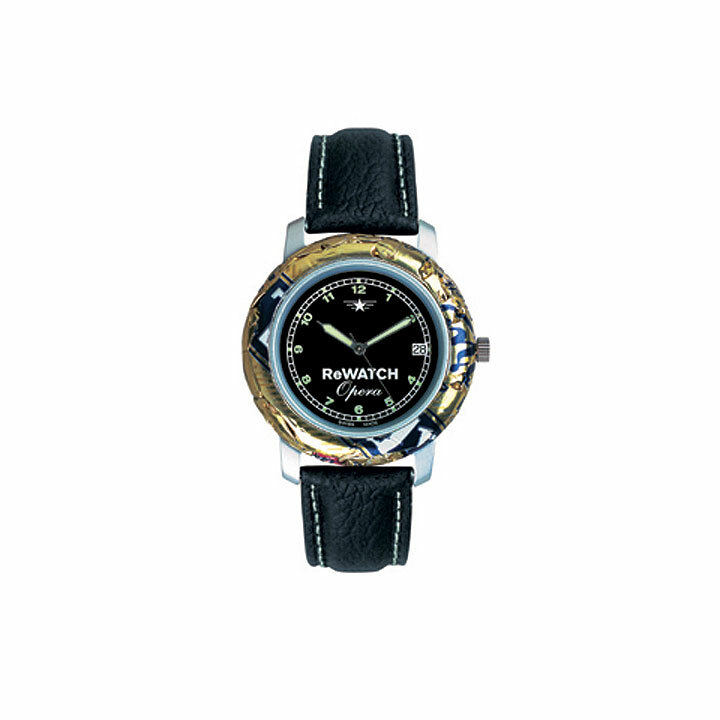 Watch face 38 mm (1 1/2 inch) diameter – wearable by men, women and children. 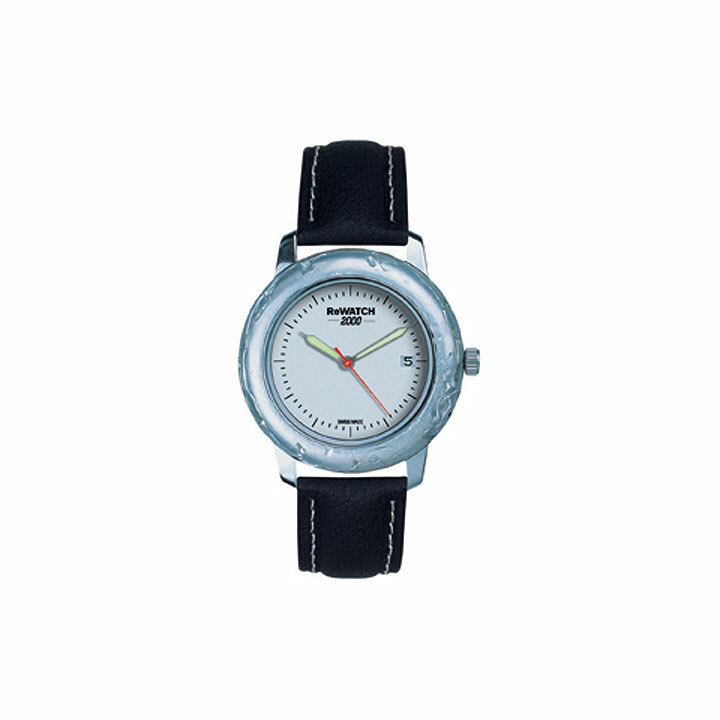 90 day warranty from date of purchase on quartz movement, bezel (housing) and case body only.